I wrote 105 posts for The DO Loop blog in 2016. My most popular articles were about data analysis, SAS programming tips, and elementary statistics. Without further ado, here are the most popular articles from 2016. Start with a juicy set of data and an interesting question. Mix in some SAS data analysis and a colorful graph that visualizes the data and tells a story. What have you got? A popular blog post! The following posts generated buzz on social media. They also show off the power of SAS analytics and visualization. A comparative histogram enables you to compare two or more distributions. You can create a panel of histograms, or you can overlay multiple histograms in a single graph. 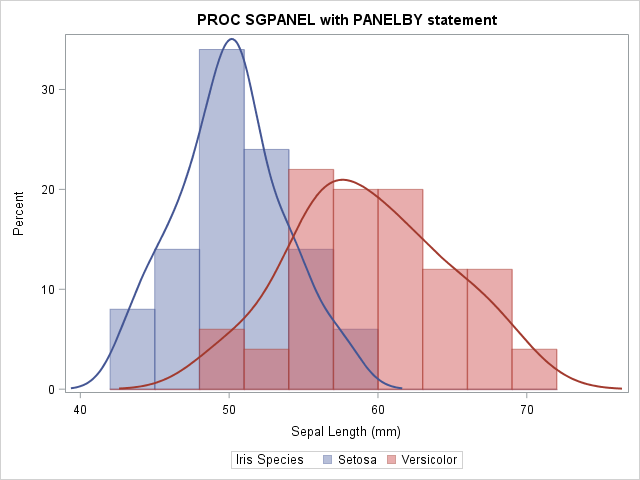 This article shows how to create comparative histograms in SAS. One of my most popular posts was a statistical analysis of Stephen Curry's amazing scoring prowess in basketball. I used logistic regression to model the probability of making a shot as a function of distance, angle, and position on the court. It sounds like an oxymoron, but you can visualize missing data. Learn how to use SAS to make graphs that reveal patterns of missingness in your data. A spaghetti plot is a line chart that involves many overlapping lines. Learn how to create spaghetti plots in SAS. And if the spaghetti plot proves to be too messy, create a lasagna plot in SAS to visualize layers of time-series data. As my mother would say, "Mangia!" Everyone who uses SAS needs to know tricks and techniques for programming in the DATA step or for working with macros. No wonder these articles were so popular! For complex logical processing in the SAS DATA step, the SELECT-WHEN statement can be clearer than a long string of IF-THEN/ELSE statements. Learn how to use the SELECT-WHEN statement. To automate a programming task, you might need to store values of a variable into a SAS macro variable. PROC SQL provides the SELECT INTO/SEPARATED BY syntax to create a macro variable that contains the values of a variable. Do you put a RUN statement after a DATALINES statement? Do you use a semicolon after a macro call? These are examples of unnecessary SAS statements, but some people feel that they add clarity to a SAS program. Should you use unnecessary statements in your SAS program? Add your voice to the passionate debate in the comments. How do you compute a moving average in SAS? This article shows how to use PROC EXPAND and contains links to articles that use the DATA step or macros to compute moving averages in SAS. 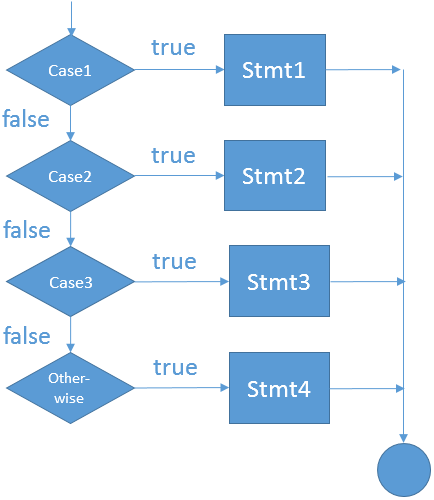 Some programmers use the SAS DATA step to create dummy variables from categorical variables. There is a better way: Use SAS statistical procedures to generate dummy variables. Using weights in a statistical analysis can be unintuitive. 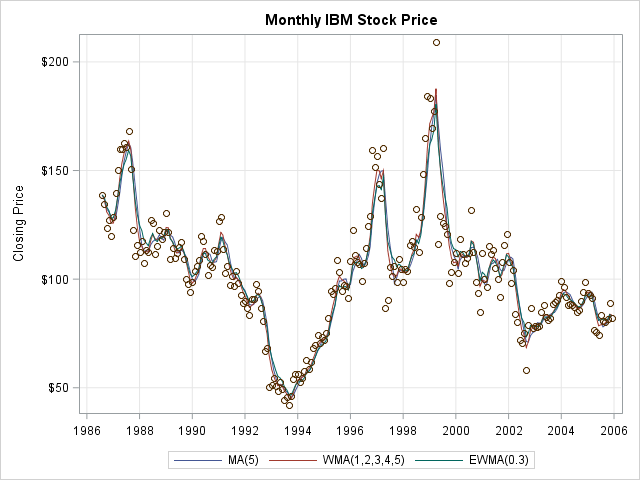 This article presents the simplest weighted analysis: how to compute a weighted mean in SAS. It sets the stage for more complicated analyses such as how to compute a weighted regression. Did you miss any of these popular posts? Here's your chance to read (or re-read!) one of these top 10 posts from 2016. Next week: My picks for articles that did not make this list, but deserve a second look. The post The top 10 posts from The DO Loop in 2016 appeared first on The DO Loop. 4 steps to get started with data governance Is “La Quinta” Spanish for “Next to Denny’s”?